This past Saturday was my book signing. It went so much better than I even hoped, and I was surprised by how much I enjoyed it. Those who know me well know that even though I was “The Best Actress of Decatur High School” a very long time ago because the girl who really deserved the award had left school, I really do not like the limelight. I am much more comfortable guiding and cheering from the sidelines. Still, the signing with friends old and new was overwhelmingly wonderful so from now on if you want to celebrate me, I’m in. You can even bring a crown if you’d like. Questions came from the event such as how long I’d been writing (an embarrassing answer) and some of the kind faces asked even more specific questions about my book. One question made me smile when a very sweet woman leaned in to ask,”Did you ever get rejected?” Did I ever get rejected! I got so rejected that when the acceptance for Snoop came, I read and reread it to make sure I wasn’t hallucinating. Writing is a tough, gritty business, and though there are the Lena Dunhams of the world who get fabulous contracts for an HBO program so raw I couldn’t have had my mother watch it–and which I love–the truth is that most writers face rejection. If what you want is fame, rob a bank. Writing fame is virtually non-existent. Even today if you say Gillian Flynn,most people have blank looks on their face, yet her book Gone Girl has been on the best sellers lists forever. I started out writing children’s books, and still love books for tweenagers. One day, I’ll finish the children’s book I have roaming around in my head. I won an honorable mention in the annual Writer’s Digest writing competition for my Son of the Romance Queen but put the book away after it came close but went nowhere. Scholastic Books almost took it but had done one like it not long before. I was heartbroken and went back to writing nonfiction pieces in between raising children and teaching English. 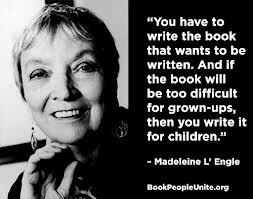 But I also read Madeleine L’Engle’s memoir A Circle of Quiet in which L’Engle talks about how she had given up on writing–almost–when she got the call announcing she’d won the Newbery for A Wrinkle in Time. In reading about people who faced numerous rejections and kept going, I was building my own toolbox for staying in the writing game. Then I wrote a couple other children’s books, but didn’t even send them out. The rejection of Son of (That’s what I called it, but didn’t finish it with very nice words) was bruising, and I wasn’t up for that kind of disappointment again. Soldiers have to be sturdy and courageous. In a different way, writers do, too. The Parton quote that this article leads off with pretty much sums up how I feel. No pain, no gain is a variation of the same theme. Long ago, I read someone local had said, “Writing must be its own reward.” So true. As I’ve told my kids, “Write the books you want to read.” That way if they don’t sell, at least you’ve read some good books. Would-be writers always see books like theirs sitting on bookshelves in bookstores and wonder why those writers got so “lucky.” Some of it is luck. But most of it, I think, was that those writers with books sitting on the shelves or appearing on Amazon.com and Barnes & Noble.com, outlasted other writers. When writers dashed by rejection folded up their computers and walked away, the other writers rolled up their sleeves and went right back at it. My way of handling rejection, after the tears, swear words, and throwing milk, is to cling to the stories of those who went before me. 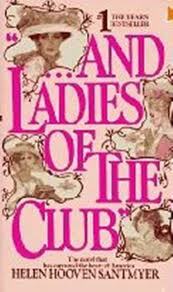 Decades ago, Helen Hooven Santmyer made literary history, by selling her book “…And Ladies of the Club” in her nineties. Perhaps others see as sad the fact that I hugged the thought that maybe I would be in my dotage when I sold a book, but I would sell a book. This picture is not out of place. It belongs here. Tillie Olsen wrote one of my favorite collections of short stories after she had worked in a factory to raise her many children. No husband to help her, Olsen had only the dark corners of the night or times she hid away in libraries to write, but she did write. 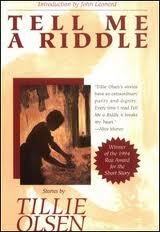 And a couple of the stories in Tell Me a Riddle are among the most powerful and eloquent I have ever read. I’m convinced that writing was her refuge, not designed to be her springboard to fame. At the end of Barbara Taylor Bradford’s great read A Woman of Substance, her heroic main character says that the secret of life is “to endure.” That’s probably the secret to publication, and if it’s not, at least you’ve spent your time doing that which fulfills you. Finally, this past weekend writer Joyce Maynard married her soulmate. I met Joyce through her book about motherhood and writing titled Domestic Affairs. Since then we’ve stayed in touch and once, over a decade ago, she stayed at my house for a couple of days and spoke at the school where I taught. During her too brief visit, Joyce taught me so much about writing because she was always doing it, whether talking about it, thinking about it, or actually sitting at her computer and writing one of her many celebrated books and articles. She was and is the energizer writer. Looking at her life today, with her books lining shelves in bookstores and a movie of her book Labor Day about to be released, it’s easy to envy Joyce. And I do, but not because she’s been successful, I envy her because she’s stayed upright through the down years of her writing and most of all because she put her gift to use and remained grateful that she has it. She has faced rejection in all its ugly forms and pushed forward. 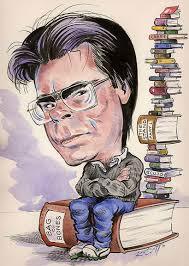 It’s fitting that her movie, another book, and this wonderful marriage have merged just as she turns sixty. Congratulations, Joyce, for being as good as you always knew you could be and never crumbling when the critics tried to hurt you. You’re one of my heroes. This entry was posted in Cozy Cat Press and tagged Joyce Maynard, rejection, Stephen King, Tillie Olsen, writer by Lyla Fox. Bookmark the permalink. Love the last two lines. Joyce is great.